Over Valentine’s Day weekend in 2016, a winter storm wiped out most of New England’s peach crop — a development that left Sweetgreen's supply chain team scrambling. In the thick of summer menu planning, the group was forecasting supply for the restaurant chain’s popular peach and goat cheese bowl and coming up short. While other fast-food companies might have opted to truck in less-than-fresh peaches from a far-flung location, Sweetgreen’s team on the ground took a different route. They swapped out the peaches for locally grown (and unscathed) blueberries and strawberries, whipping up a brand-new menu item that was dubbed the “Patriot Bowl” in an homage to the region. It quickly became one of the most popular orders throughout Sweetgreen’s northeastern restaurants — and is now a prime example of a concept that co-founder and Chief Brand Officer Nathaniel Ru calls intimacy at scale. Ru and his two co-founders, Jonathan Neman and Nicolas Jammet, started out on a journey to bring this philosophy to life more than 11 years ago, opening up a 500-square-foot restaurant in Washington, D.C. just a few months after graduating from Georgetown. Cozy and decorated with local art, this first location became anchored into the folds of the community, providing a stable foundation for further expansion along the Eastern seaboard. By maintaining a flexible supply chain and crafting a seasonal, curated experience for customers, Sweetgreen has bottled the essence of its humble beginnings as it has scaled, tapping into that familiar-yet-fresh feeling to fuel impressive growth. The company now boasts more than 3,500 employees and nearly 100 locations in eight states, with plans to double the number of restaurants in the next year. But Sweetgreen has been growing beyond mere physical footprint as well. From launching enterprise office delivery and using blockchain to track ingredients to unlocking unicorn status and raising over $300 million in funding, the company seems to share more DNA strands with tech startups than with their fellow fast-casual competitors. In this exclusive interview, Ru draws on his experience scaling Sweetgreen to offer startups a clearer window into how rapidly growing companies can maintain intimacy with customers, partners and employees. He deconstructs the essential strategies for authentically approaching new markets and collaborations, while diving deeper into the tactics Sweetgreen used to infuse intention into its supply chain, mobile app and team building efforts. Founders looking to build a company that can withstand growing pains and stay connected with customers will benefit from Ru’s masterclass on building a brand steeped in community. As more cooks crowd the kitchen and new locations are spun up, standard operating procedures and efficiencies are introduced to maintain consistency. Soon enough, the culture gets watered down, the products lose flavor and the founding spark of creativity dims as a cookie-cutter approach takes over. This description could just as easily apply to a scaling tech startup as to a rapidly growing restaurant chain (and as we’ve previously noted, there’s considerable overlap in the skillsets of chefs and product managers as well). As Ru is quick to point out, companies in both industries face an inherent tension between scale and intimacy. To further unpack the thinking behind scaling intimacy, Ru details the four core principles that have formed the ethos of Sweetgreen’s approach, sharing the mistakes he and his co-founders learned from along the way. 1) Slow down to speed up. “Like many startups, we started off with a few core values, but it quickly ballooned from there. I think at one point we got up to 20 values and we couldn't even memorize all of them. That was definitely a reflection of us trying to do too much in our early years. Over time we learned the power of saying no and slowing down,” says Ru. While it’s tempting to grow as fast as you can in every dimension, it’s the decisions that you say no to that define who you are. Further embodying that philosophy of taking things slow, the Sweetgreen team takes its time before entering a new market, knowing that the exact same launch playbook won’t work in every location. “Unlocking intimacy and the ability to resonate with customers hinges on doing the legwork to understand them. You have to connect with each community differently. At least a year before we enter in a new market, we’re introducing ourselves to the community and taking the time to understand its unique culture so we can so that we can show up in a more meaningful way,” says Ru. You have to design products and experiences for modularity because everything changes so quickly. Don’t just focus on the today’s functionality — peer into the future and start thinking about how you can show up in unexpected ways. To tap into community specific microcosms, reach out to customers in new ways and inject flavor into the brand, Sweetgreen has utilized unexpected collaborations from the start. From a Kendrick Lamar “Beets Don’t Kale My Vibe” campaign in 2015 to a recent partnership that delivers salads directly to WeWork locations, the company has dabbled across an incredibly diverse range of domains. But one of Ru’s personal favorites was the recent partnership with Michelin-starred chef Dan Barber. “Everyone says ‘farm to table’ these days, but we wanted to try ‘seed to restaurant,’” he says. “Dan has a seed company that breeds new strains of vegetables to maximize flavor, so we bought 100,000 seeds of a brand-new squash he invented and we planted them in six farms across the country. They all came out in completely different shapes and sizes. It had never been produced in mass quantities and obviously no customer had ever heard of the Koginut squash before, but we put it on the fall menu at every location. That’s not something most fast-food companies would do, but for us, it’s about showing our customers a different side of food and making sure purpose permeates throughout our brand,” says Ru. When considering partnerships, Ru advises early-stage teams to go with what feels like a natural fit, not a forced extension. “The relationships that have been the biggest successes for us have always been the ones where the brainstorming and execution were seamless,” he says. Even at scale, you can still find ways to experiment with bold, wild card ideas and look for partnership opportunities that bring out a different side of your brand. To fill in more color beneath these four strategic pillars, in the following sections Ru goes on to reveal the tactical threads of how intimacy at scale has been woven into Sweetgreen’s supply chain, tech platforms, brand building efforts and internal company culture. Although centralized sourcing and distribution has been the operational bedrock of fast-food for decades, Sweetgreen has upended convention from the very beginning. By going straight to the farmers themselves (including more innovative suppliers such as Barber’s seed-breeding company and Bowery’s indoor farms,) Ru and his co-founders are dedicated to instilling intimacy and avoiding a typical conglomerate supply chain mentality at every turn. “We want to show people that fast-food can be good for you and also taste different in different places. Our kale in Philadelphia tastes different than it does in Palo Alto, and our goal is to make that completely normal in the fast-food world,” says Ru. While most startups aren’t struggling to figure out the logistics of planting a new strain of squash or distinguishing different kale varieties , early-stage consumer-facing companies often rely heavily on operations and suppliers — and stand to learn a few things from how Sweetgreen has set it all up. Today the company has seven separate supply chains that involve over 150 local farmers across the country so menus can be designed around the regions and the seasons. “Our supply chain is incredibly complex — but it’s also our moat,” Ru says. If you're willing to do the upfront work of setting up different supply chains or upending traditional operating models, you can reinvent the business you're in. Transparency is an unbelievably powerful tool for startups looking to shake things up in their industry. Open up and demystify your operating practices as much as possible to forge connections with your customers. While Sweetgreen is known for the snaking lunch lines and fast-moving assembly stations of the physical realm, the company has been steadily dialing up its digital presence as well. Nearly 50% of orders in the last year came through its mobile app, which has more than a million users. Given that Sweetgreen can count only 90 physical locations, these figures stand out. Tech needs to enhance the human experience, not replace it. (Mobile) ordering with the eyes and Spotify for salads. 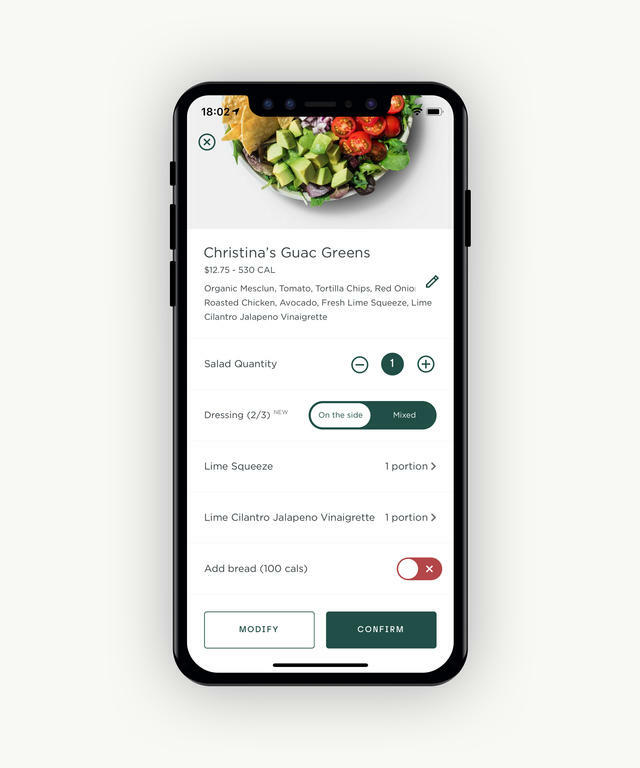 Sweetgreen was an early mover as one of the first in its category to release an app. Content forward. “We had this mantra of ‘ordering with your eyes.’ At our restaurants, you walk down a front line and you choose what you want to go into your bowl based on what you see. We wanted that experience to come through in our app, so we invested heavily in content descriptions and photography of every bowl and every ingredient to create really rich, storytelling experiences around food,” says Ru. For Sweetgreen, thinking through the configurations of the behind-the-scenes kitchen operations is also about making it easier for store teams to execute real food from scratch, as everything from the dressings to the roasted steelhead trout is prepared fresh at every restaurant, every day. It’s tempting to focus only on externally-facing platforms, but don’t neglect back-of-house operations. Don’t be afraid to spend the time custom-building the tools that your team needs to work more effectively. 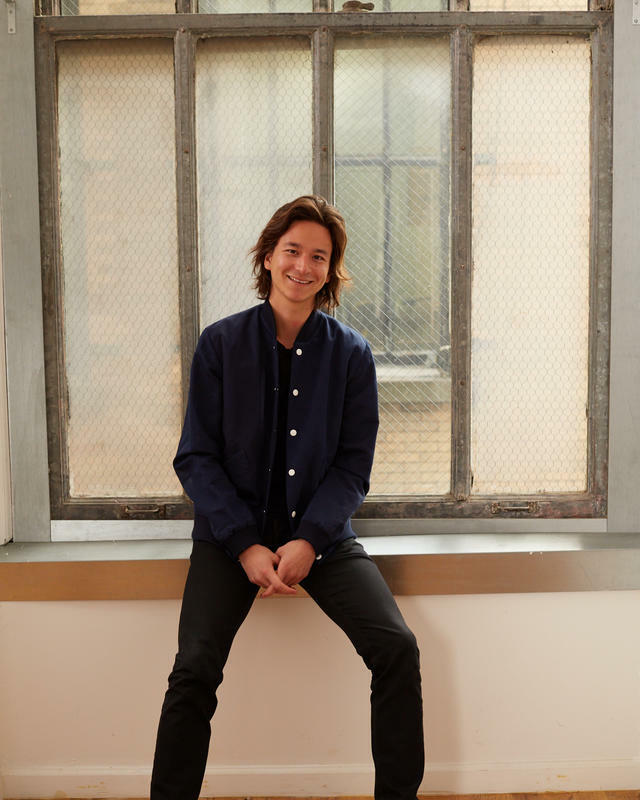 When Ru and his co-founders first started Sweetgreen, they were dismayed that the food companies with the best marketing were the most unhealthy options: Coca-Cola, McDonald’s, Red Bull. “Our thesis was, ‘How can we use similar marketing tactics to tell the story of real, healthy food, and make it a bigger part of the conversation?’” says Ru. “Simply telling people to eat their vegetables wasn’t going to work. We had to connect it to lifestyle and culture while making it feel different and fresh. Similar to Nike and Supreme drops or new Netflix originals, we see the white space to create hype around healthy food through our five seasonal menu launches, which is why we partner with noted chefs such as David Chang,” he says. 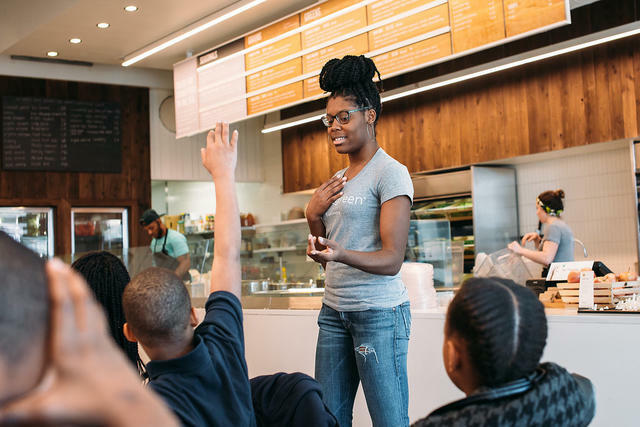 For Sweetgreen, this search for connection has led the team to find ways to contribute in the communities they operate in that have nothing to do with restaurants. “Our mantra is to leave people better than we found them. It’s easy to apply that thinking to the way we treat our customers or our teammates, but as students of the community, we need to extend it to our broader environment,” says Ru. As we get bigger, we need to act smaller. There’s no such thing as a successful business in an unsuccessful community. The team has invested heavily in social impact projects, including partnering with an urban farm to renovate an old bus to help serve the ‘food desert’ of Southside Chicago and turning a local corner liquor store in L.A. into a real food destination complete with a point-of-sale system and access to Sweetgreen’s local supply chain. A Sweetgreen in Schools workshop. As companies grow and new locations open, managing an ever-expanding team, maintaining hiring standards, inspiring large groups and reducing turnover are converted into instant challenges. So it makes sense that the final ingredient in Sweetgreen’s approach is bringing intimacy to the employee experience. The main goal? To prevent the unique company culture and customer-centric focus from wilting as the company has grown from three college friends to over 3,500 employees. “As leaders, we’re focused on two things: retaining our employees by supporting them with a great environment and building a team that can both embrace and get excited about the constant change. Our hourly team members in our restaurants and our ‘head coaches’ or general managers, are all on the frontlines of customer experience. They are the ones that deliver great service daily,” says Ru. “And the reality is that working in the restaurants is really hard. My co-founders and I make sure to take a store shift with every menu change, so we know firsthand the current challenges they face. As important as it is to create innovative products and launch trendy initiatives, it’s just as important, if not more, to serve those who work with you,” he says. Nudging with new tools. To shore up employee retention, Sweetgreen turned to another tech solution: Lazslo Bock’s new startup, Humu. By enlisting analytics, economic research and people ops expertise from Google, Humu provides Ru and his co-founders with another tool to help improve the team experience of working at Sweetgreen. “After the assessment from Humu, we found that while employees were pretty happy, career advancement was a spot we need to work on. The software sends ‘nudges’ to remind head coaches of more specific topics to address in this realm, which could be covered in a Sweet Talk or by holding one-on-one conversations with the restaurant team members,” says Ru. In the early days as a founder, you wear all the hats, but over time your role narrows in on a specific function. Don’t lose your curiosity — staying well-versed in all aspects of the business will make you stronger as a functional leader. Conventional wisdom suggests that rapid hypergrowth and expansion necessitates a sacrifice of intimacy and familiarity. Sooner or later, “a way of doing things” develops, customers and employees feel less connected, and ideas go stale as companies struggle to escape the consistent, slow-moving trappings of predictability that accompany scale. To avoid this fate, focus on getting stronger and saying no, not just on getting bigger and growing faster. Before entering new markets, avoid a templatized feel by studying the community to custom-tailor your approach and experiment with how you serve customers. Tap into collaborations to show up in unexpected places. Don’t be afraid to invest in unconventional operational models or custom, in-house tools that’ll make your team stronger and moat wider. Take a wider lens view of your brand’s purpose by making time for social impact projects that make a difference. Source new ideas from employees and implement them, introducing new forums and tools for keeping the team connected amid the growth. “There isn’t a blueprint for achieving intimacy at scale, but the biggest lesson I’ve learned along the way is making it a reality comes down to building meaningful connections and relationships with your internal and external customers. It’s easy for founders to be heads-down and focused on building the business, and often we forget that this is a muscle we always need to work on,” says Ru. Sweetgreen in Schools photo by Allison Zaucha. All other photos courtesy of Sweetgreen.